Temperatures in the next few days are predicted to continue to be the coldest of the winter so far, which increases the risk of carbon monoxide. Complicating its detection even more, the effects of carbon monoxide poisoning resemble those of flu, cold or infection. All could indicate that a person is being poisoned by carbon monoxide. Because these symptoms are often associated with less serious illnesses, many people who are overexposed to carbon monoxide mistakenly think they’re catching a seasonal bug. In many cases, the affected person will lie down or rest to feel better. Some never wake up. When cold engines first start, they run rich. The catalytic converter is cold and not converting deadly carbon monoxide (CO) to carbon dioxide (CO2). Concentrations in the exhaust can be more than 80,000 parts per million. 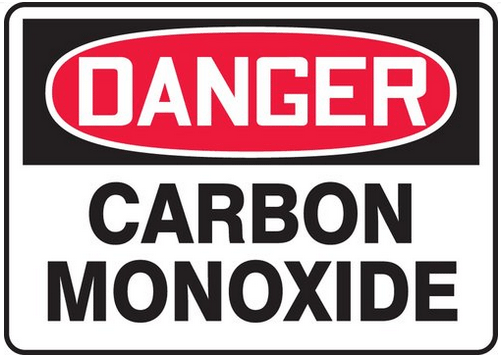 Concentrations so large fill the garage with carbon monoxide in a very short time even with the door open. Once the car is backed out of the garage and the garage door closed, large concentrations of gas still remain trapped in the garage. In a house built with an attached garage, part of the gas then seeps into the house where it remains for hours.